Thomas Grant Gustin, popularly known as Grant Gustin is an American actor and singer. He is best known for his role as Barry Allen/The Flash on the CW series, The Flash as part of the Arrowverse television franchise. He is also known for his role as Sebastian Smythe on the Fox series, Glee. He has over 6.9 million followers on his Instagram. His role as Barry Allen/The Flash on The Flash. His role as Sebastian Smythe on Glee. Grant Gustin was born on 14 January 1990. His birth name is Thomas Grant Gustin. He was born to a father, Thomas Gustin, and a mother, Tina Haney. He belongs to White ethnicity. His birthplace is in Norfolk, Virginia in the United States. He holds American nationality. His zodiac sign is Capricorn. He has 2 siblings, Gracie Gustin, a sister and Tyler Gustin, a brother. He attended Granby High School. During his high school years, he attended the Governor's School for the Arts program in Norfolk for musical theatre. He graduated from Granby in 2008. He then attended the BFA Music Theater Program at Elon University in North Carlina for two years. He left school to take the role of Baby John in the Broadway Revival Tour of West Side Story. He performed with the tour between September 2010 and September 2011. He has appeared in the direct-to-video film, Kid Fitness Jungle Adventure Exercise Video in 2003. He made his television debut in a minor role as Thomas in an episode of A Haunting in 2006. He was cast in the role of Sebastian Smythe on the television series, Glee in November 2011. He originally auditioned for the role as a tap dancer/. Instead, he was given the role of Smythe after an exhaustive, weeks-long casting search. Gustin and Naya Rivera performed "Smooth Criminal" as a duet in the season three episode "Michael", backed by musical duo 2Cellos. "Smooth Criminal" debuted and peaked at number 26 at Billboard Hot 100, number 10 at Billboard Digital Songs, and at number 28 at Billboard Canadian Hot 100 chart of the week of February 2012. He has appeared as Chris Stewart in the television film, A Mother's Nightmare in 2012. He had a recurring role as Campbell Price in 90210 in 2013. It was announced in September 2013 that he would play Barry Allen in the second season of Arrow. He was initially supposed to appear in three episodes. The spin-off Flash series, The Flash was created. The Flash premiered on 7 October 2014. It became the highest-premiere in terms of viewers on The CW in five years when it earned 4.8 million viewers. The Flash is currently running in its fifth season. He has reprised the role of Barry Allen/Flash in Supergirl and Legends of Tomorrow and Vixen. He starred in William H. Macy's film, Krystal. The film premiered in 2017 at the Virginia Film Festival and was later released in 2018. He appeared as Tom in 2018 short film, Tom and Grant. He has recorded "Uptown Girl" for Glee: The Music, Volume 9 in 2011, "Bad", "Smooth Criminal" with Naya Rivera featuring 2Cellos, "I Want You Back", "Stand", and "Glad You Came" for Glee: The Music, The Complete Season Three, "Live While We're Young" for Glee: The Music, Season 4, Volume 1 in 2012, "Super Friend" with Melissa Benoist and "Runnin' Home to You" for The Flash - Music from the Special Episode: Duet in 2017. 2015 Teen Choice Awards - Choice TV: Breakout Star for The Flash. 2015 Saturn Awards - Breakthrough Performance Award for The Flash. 2016 Teen Choice Award - Choice TV Actor: Fantasy/Sci-Fi for The Flash. 2017 Teen Choice Award - Choice Action TV Actor for The Flash. 2018 Teen Choice Award - Choice Action TV Actor for The Flash. Who is Gustin Grant Married To? Gustin Grant is a married man. He is married to Andrea "LA" Thoma. They started dating in January 2016. The couple got engaged in April 2017. A year later, they tied a knot to each other on 15 December 2018. 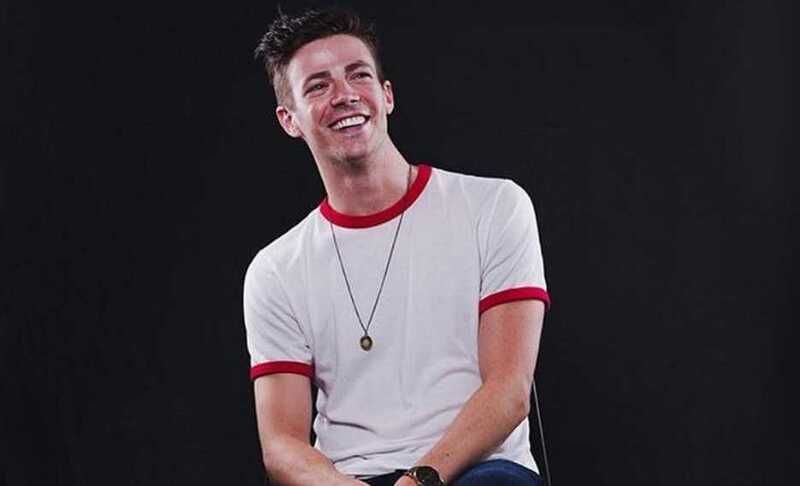 What are Grant Gustin's Body Measurements? Grant Gustin stands at a height of 1.88 m i.e. 6t feet and 2 inches tall. He has a body weight of 16 lbs i.e. 75 kg. He has an athletic body build. He has light brown eyes and his hair color is dark brown. 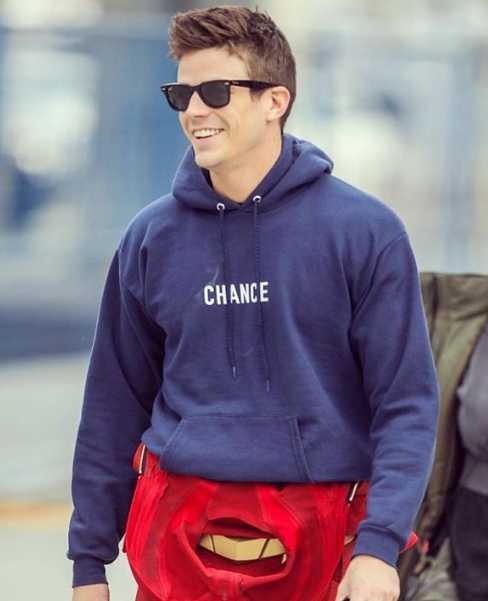 What is Grant Gustin's Net Worth? Grant Gustin's major income comes from his acting career. Known for his role as Barry Allen/The Flash, he has also appeared in other television series. In summary, working in the entertainment industry is his major source of income. As of 2019, his net worth is estimated at $2 million. His father is a college professor and his mother is a pediatric nurse. He has been a friend of actor Chris Wood since college.